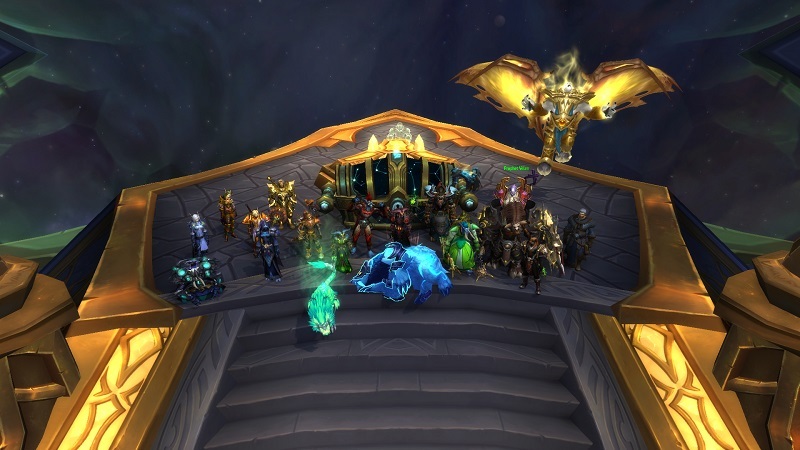 With the Army of the Light failing to deal a death blow, much as the Prophet Velen has done repeatedly throughout time, the Grim stepped forward to defeat the Legion once and for all. Recognizing a weakness in the Legion’s defenses, the Grim directed fire to the artillery platform near Felfire Armory, breaching the stronghold. 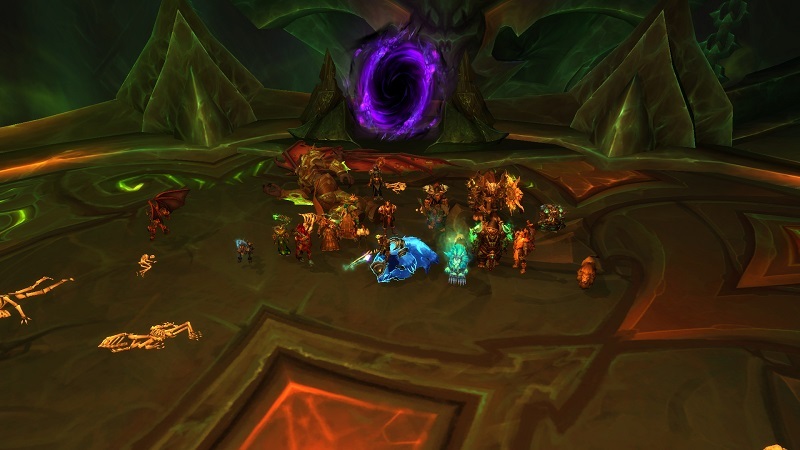 As expected, a Fel Reaver barred our path upon entry, though a unique one for sure. Constructed deep within the core of Argus and outfitted with an arsenal to decimate worlds, this war machine has been designed to bring the Army of Light to its knees. The infernal machine was no match for our forces. We stormed past the wreckage, and encountered another oddity. Fel Hounds of the like that we have never seen before. Truly, this place is full of terrors. 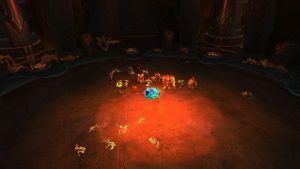 Infused with fire and shadow, F’harg and Shatug are the prized pets of Sargeras. Bred for carnage, these hounds delight in eviscerating their master’s enemies. 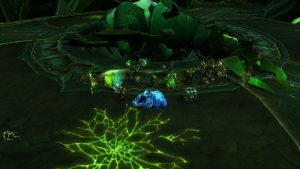 With the Army of Light and their allies advancing upon Antorus, the Legion prepares to unleash these vicious creatures onto the battlefield and put an end to the mortals’ invasion. While intimidating, the Grim are fearless. Once again, the Legion’s plans to utilize these fiends was destroyed. Onward we marched, finally discovering three of the leaders of the Burning Legion in their command center. The three commanders, Admiral Svirax, Chief Engineer Ishkar, and General Erodus, also known as the Anotoran High Command, called upon all devices available to them, but the Grim were smart and used their own weapons against them. The Legion would not recover from our onslaught. 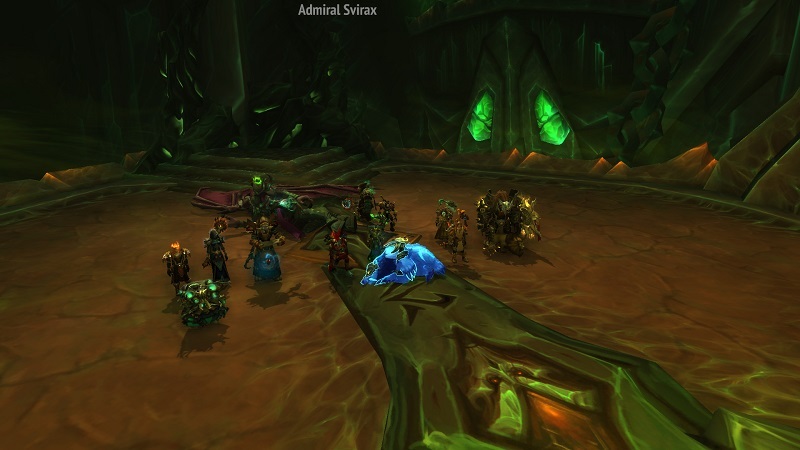 We managed to discover the location of another commander of the Legion with the last breathes of these fiends. Portal Keeper Hasabel maintains the nexus through which the Legion has unleashed its insidious armies upon countless worlds. With portals that open to myriad strategic locations throughout the Great Dark Beyond, Hasabel is capable of bringing the might of the Legion’s arsenal to bear upon any who oppose her. The Legion fight bravely, we expected this one to flee through one of her portals upon realizing her fate, but she did not. She fought to the bitter end, and end it did. As we wondered for what seemed like ages, we came upon an unexpected place of serenity and beauty. The Essence of Eonar, the Life-Binder, stood before us, calming and soothing us, but ever so briefly. Though she was felled by the blade of Sargeras, the Life-Binder’s essence escaped the grasp of the Dark Titan. 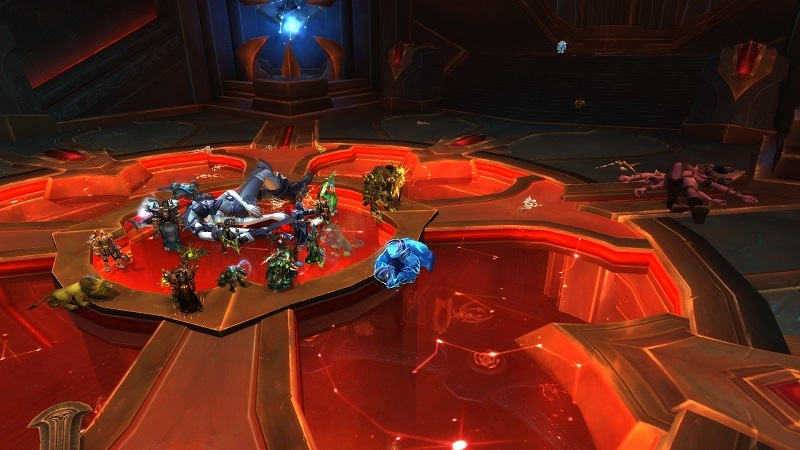 After millennia spent hiding in isolation, Eonar’s sanctuary has been discovered by the Legion. 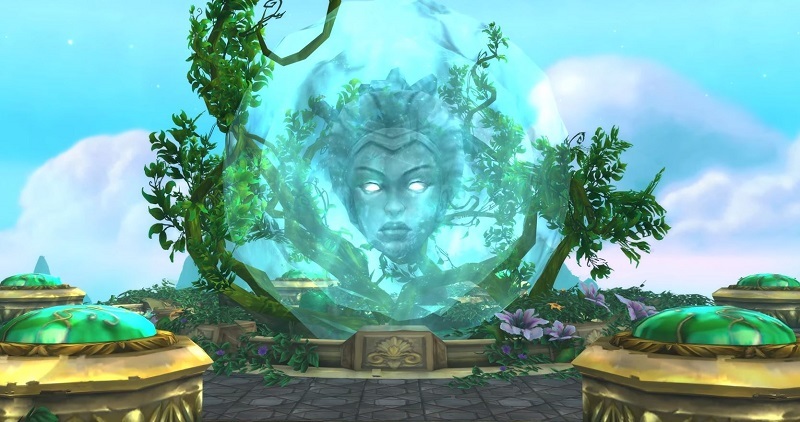 Should her soul fall into the enemy’s hands, Eonar’s powers of nature and growth will be perverted to make the Burning Crusade unstoppable. Wave after wave assaulted this sanctuary, not long after our arrival. 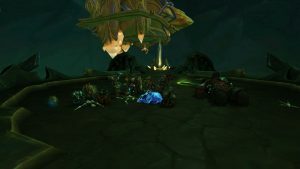 The fiends may have followed us here, or perhaps Eonar revealed herself because she sensed our presence and knew we could save her. Whatever the reason, the Grim saved the soul of Eonar and pressed forth. The Legion grew desperate, sending a demonic bounty hunter to intercept our forces as we ravaged their home. Imonar, the Soulhunter, and the Grim soon met, for we did not hide our presence, no, we reveled in our destruction of this place. The infamous Imonar serves as the Legion’s bloodhound, capable of tracking prey across the cosmos. With a vast array of gadgets and traps at his disposal, Imonar has yet to lose a bounty… and he certainly doesn’t intend to sully his perfect record by failing to fulfill his latest contract. 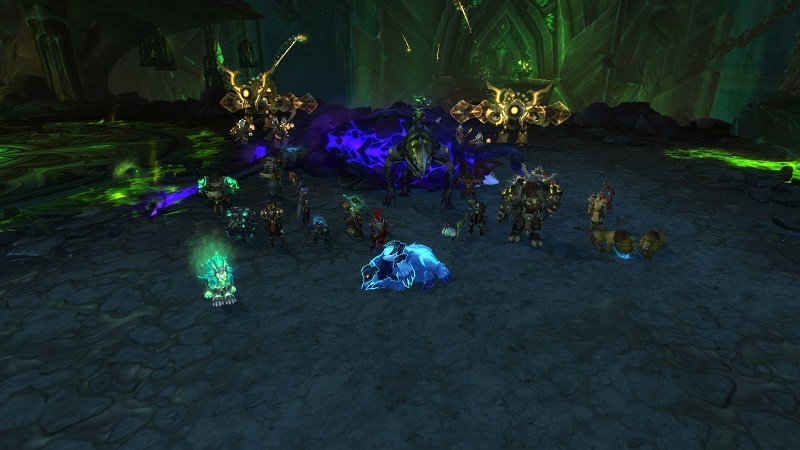 The hunter became the hunted and the Grim would mount this trophy in their Guild Hall. 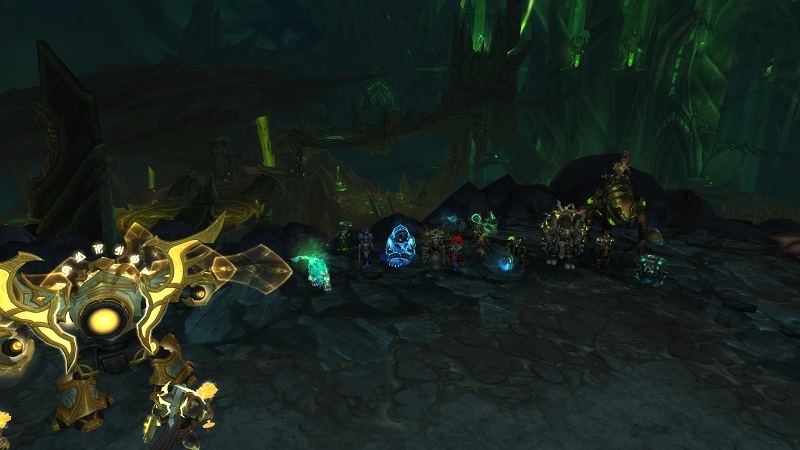 As we entered what appeared to be a mighty forge, we expected to face more fel reavers. The Grim got much more than that however. The creator of the fel reavers himself, Kin’garoth. The design of every Legion war machine stems from the depraved mind of Kin’garoth. Obsessed with crafting implements of death, Kin’garoth infused his very body into the production machinery so he could more efficiently churn out a never-ending supply of destruction. 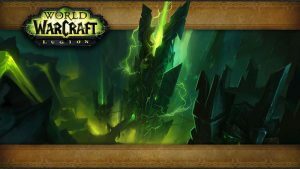 At the behest of the Legion’s dark master, Kin’garoth’s fevered brilliance has developed a new super-weapon which he plans to unleash upon the Army of Light. With the death of this demon, we set about destroying he forge. The Engineer of the Apocalypse would never plague our world again. Soon we discovered an old face. While the Grim remembered his presence for many years by our Warchief’s side, we also remembered his treachery. He was not pleased at our appearance here in his lair. As one of the dreadlords overseeing the Legion’s forces during the Third War, Varimathras failed to stop the rebellious Lich King. He submitted to an ill-fated alliance with Sylvanas Windrunner, then made one last bid for power before facing a humiliating defeat. 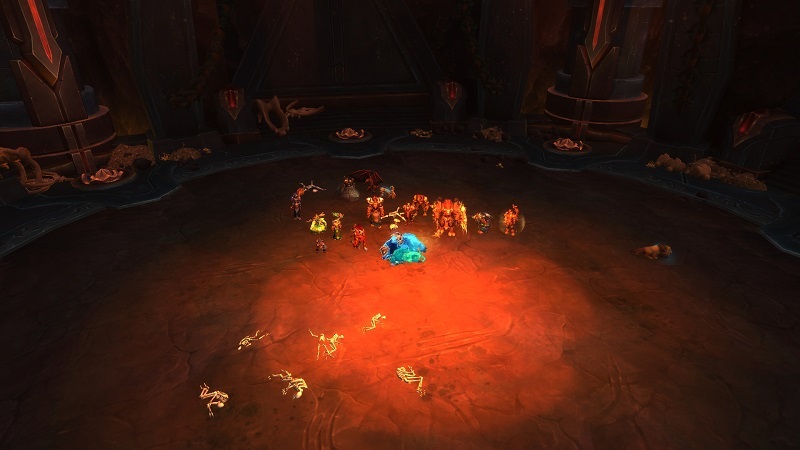 In payment for his blunders, Varimathras has been tortured by the Coven of Shivarra. The vindictive sisters stripped away both flesh and sanity, leaving only a singular desire to inflict suffering upon the mortals who cost him everything. 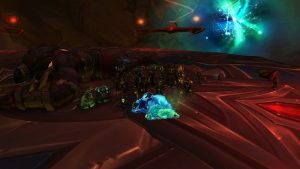 Again, Varimathras fell to our blades, this time forever. Now we would search for the Coven that tortured him. Not to avenge him, but to eliminate all threats to our world. We found the Coven, three sisters who enjoyed their role in the Legion’s plans all too much. All we had to do was follow the screams of agony. Having proven themselves to be the most depraved and fanatical of all his followers, Sargeras entrusted the Coven with the unholy task of twisting the minds of the fallen titans into an unstoppable Dark Pantheon. Each sister employs her own signature brand of torture, eliciting screams which echo throughout the halls of Antorus. It is said that neither mortal nor demon can refuse their whispers, making it only a matter of time before the will of the titans is broken. Not only did the Grim prove strong of body and soul, but our will is indomitable. The sisters were no match for our power. We wound or way to the core of Argus and finally we faced his guardian. The quiet of the halls was off putting, and soon we saw way. There is nothing quite like facing a titan. Before us stood the Titan of Destruction, Aggramar. Once the noble Avenger of the Pantheon, Aggramar was struck down by Sargeras and reborn as a titan of destruction. He now stands at the core of Argus, guarding a power that would unmake the universe. Not even demons are permitted to tread within the titan’s halls, and any mortals bold enough to trespass will be reduced to cinders by Aggramar’s burning blade, Taeshalach. While formidable, this titan was a shell of his former self, and we bested him easily. His tactics predictable thanks to the corruption of the Legion. Sargeras called Argus the Unmaker to rise to his true form. Argus the Unmaker was the world-soul of the eponymous planet Argus. Argus was twisted and corrupted beyond redemption by the Burning Legion, his power harnessed to fuel the demons’ infinite army, allowing them to endlessly regenerate in the Twisting Nether. 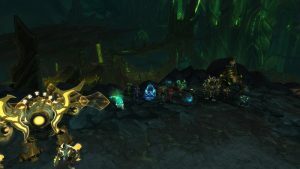 The Legion’s connection to the world-soul had to be severed in order to bring an end to the Burning Crusade once and for all. 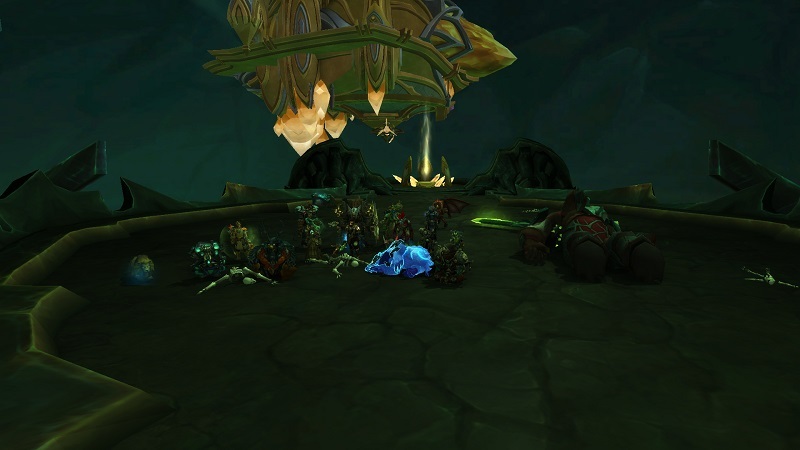 To do this, the Pantheon brought Argus’ soul to their Seat. 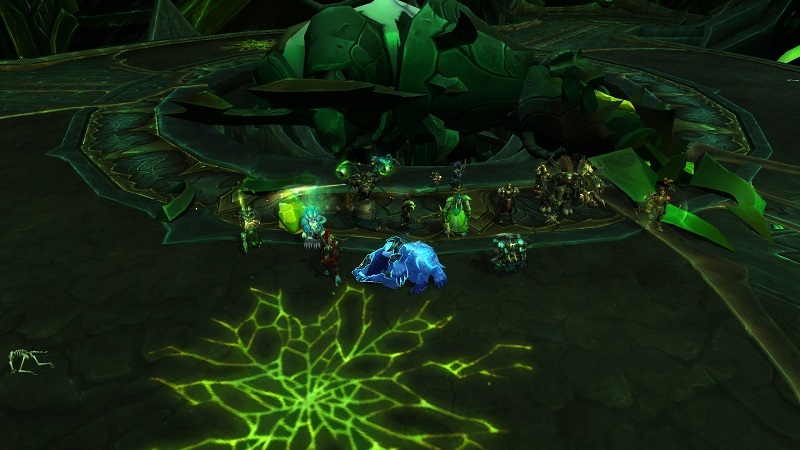 The titans also used the last of Argus’ power to imprison Sargeras forever. Eons of existence, knowing only pain. A shattered soul, fueling infinite evil. The master beckons. Rise… Rise! Begin the end of all things. The power this titan wielded was tremendous and terrifying. The Grim required the aid of the Pantheon, even returning from the realm of the dead itself, and put the Unmaker out of his misery, freeing him from his endless torment. We gathered a vial of his blood to bring to the mage Khadgar. Before we could do anything else, Illidan Stormrage stepped forward as the Pantheon imprisoned Sargeras within the Seat of the Pantheon, forever to be his jailer and ending the Burning Crusade.